The recarnivalization of the postmodern? 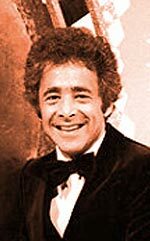 Chuck Barris, Charlie Kaufman and punk-junk TV. 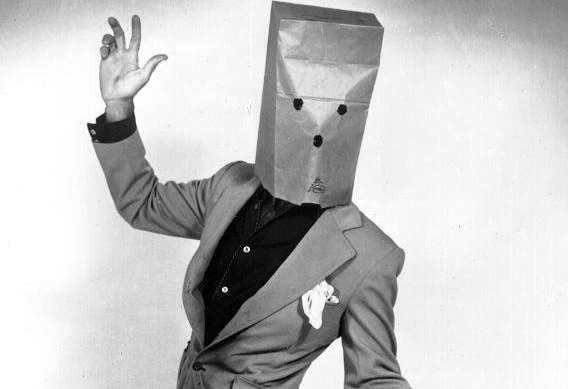 For better or worse, Chuck Barris is the anarchitect of some of our most controversial contemporary popculture. For non-American readers or British readers who didn’t watch teatime Channel 4 during the eighties, a word of explanation is required. Barris was a TV producer who dreamt up ‘The Dating Game’ (which would become ‘Mr and Mrs’ in Britain), ‘The Newlywed Game’ (UK version: ‘Blind Date’) and, most notoriously of all, ‘The Gong Show’ (forerunner of reconditioned talent show such as ‘Pop Idol’ and of reality TV). ‘The Gong Show’ was like the first week of Pop Idol, forever: all the abjects, braggarts, borderline psychotics, terminally self-deluded maniacs and kookoos, not as the prelude to the main act, but as the principal attraction. It was a non-talent show, in which a parade of no-hopers would be given a taste of exposure on coast-to-coast TV. They were allowed 45 seconds to present their act unmolested; after that, they could be gonged by the celebrity panel, in which case they would be removed from the stage with as little ceremony as possible. Those that survived would be awarded a mark out of ten by the panel . 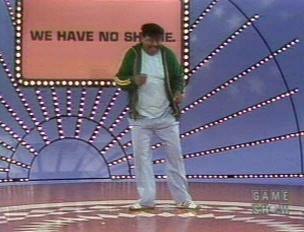 In fact, it’s only on the most superficial level that‘The Gong Show’ anticipated ‘Pop Idol’. ‘Pop Idol’ polices a rigorously-enforced reality principle which assumes that what is possible and what is valuable are fixed and determined for all time (what it must repress is the ability of hype-mechanics to melt all certainties, to machine new potentials; the reality principle is predicated upon the denial of the fact that reality is not governed by principles of any kind). ‘The Gong Show’ was a carnivalesque detournement, a riotous kingdom of misrule in which traditional values were inverted and ridiculed; the few genuinely talented acts represented a worthy competence that could not but appear paltry next to the demented exuberance of the freaks. By contrast, ‘Pop Idol’ unproblematically hawks the dominant managerialist values of ‘success’, the achievement of which, we are assured, requires conformity to an pre-determined (and pop-demographically reinforced) profile. And while ‘Pop Idol’ acts as an organ of the mainstream Entertainment and Music industries, Barris fought a running battle with the ‘veeps’ in control of corporate television. He was almost certainly the first to grasp the two premises on which today’s reality TV operates: (1) ‘ordinary’ people will do anything to get on television; and (2) those same ordinary people can be more entertaining than professionals. There’s a whole thesis to be written about how the very same features which Bakhtin defines as characteristic of the carnivalesque – ‘festive pleasure, the world turned topsy-turvy, destruction and creation… extravagant juxtapositions, the grotesque mixing and confrontations of high and low, upper-class and lower-class, spiritual and material, young and old, male and female, daily identity and festive mask, serious conventions and their parodies’.– became neutered and conservative when redeployed by PoMo. In PoMo, the complement of ‘irreverence’ is always cynicism. But there was no self-satisfied irony in ‘The Gong Show’. And that was due in no small part to Barris’ personality. 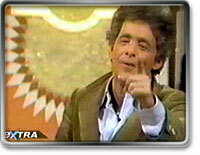 Barris was at the heart of ‘The Gong Show’. He didn’t only conceive the programme, he presented it too, after both he and the studio agreed that the standard smarmy lunkhead gameshow host they’d lined up would be way too literal-minded to make the concept fly. Shabby, ludic and inept, Barris nevertheless radiated a charming, irrepressible joy. Barris, the Prince of Fools, was simply too conspicuously incompetent, too weird, to smugly pass judgement on the acts. (This is another way in which ‘The Gong Show’ was much more subversive than reality TV now; instead of the smirking Ant ‘n’ Dec or the maternal Davina McCall acting as representatives of the Norm, here was Barris, at least as weird as any of the contestants, a Bizarro where Normality should be.) If Barris’ persona was reminiscent of anything it was the shambolic saintliness and hobo vitality of Peter Falk’s Columbo (the only redeeming feature of Wenders’ portentous and facile Wings of Desire was its perspicacious casting of Falk as an angel). Barris surrounded himself with a motley gang of grotesques, eccentrics and fellow lovers of the absurd; the judging panel regulars – louche Village Voice toff Rex Reed; suggestive siren Jaye P. Morgan and ‘zany’ Jamie Farr (from ‘M*A*S*H*) - but most importantly his own crew of never-even-wanted-to-be’s, such as Gene Gene the Dancing Machine (a pathetically inadequate but enthusiastic and winningly idiosyncratic dancer, plucked like, many of Chuck’s entourage, and to the chagrin of the studio, from the ranks of the stagehands), and the Unknown Comic, a wisecracking invective-machine with a paper bag pulled over his head. Barris came back into prominence recently, of course, because of the 2002 movie Confessions of a Dangerous Mind directed by George Clooney and adapted by Charlie Kaufman from Barris’ own ‘unauthorised autobiography’. Now there’s a phrase. ‘Unauthorised autobiography’: what could that mean? The answer is an alternately hilarious, tragic and gripping account of Barris’ numerous rises and falls through television, intercut with an allegedly no less autobiographical account of his shadowy secret life as a CIA operative. Barris’ straightfaced, almost seamless interpolation of the dubious ‘CIA’ narrative into the body of his accepted life story draws the autobiography genre into complicity with the spy thriller. (Clooney echoed this strategy in the film, saying that although he had a view on the veracity of the CIA story, the film would have been weakened if he had shared it.) What results is an appropriately bizarre hyperfiction whose intent may be satirical – posing the question, why was the public Barris condemned as ‘an enemy of civilization’ simply for entertaining people, whereas the CIA Barris was decorated for killing them? – but which is too ontologically unstable to bear any readily assimilable message. Kaufman, like his collaborator Spike Jonze, strikes me as an ambiguous figure. Is he a purveyor of mise-en-abysmal PoMo meta-reference, or, like Barris, an agent of the recarnivalization of the postmodern? It’s been said that, what the Beatles did for music, Barris did for television. But a better comparison would be punk. In the same period that the Pistols were blowing holes in the Reality principle in Britain (‘rip in the master film!’ as Burroughs put it), Barris was introducing anarchy to US TV. For a brief while, the carnival was in town. ‘Because of their obvious sensuous character and their strong element of play, carnival images closely resemble certain artistic forms, namely the spectacle. In turn, medieval spectacles often tended toward carnival folk culture, the culture of the marketplace, and to a certain extent became one of its components. But the basic carnival nucleus of this culture is by no means a purely artistic form nor a spectacle and does not, generally speaking, belong to the sphere of art. It belongs to the borderline between art and life. In reality, it is life itself, but shaped according to a certain pattern of play.